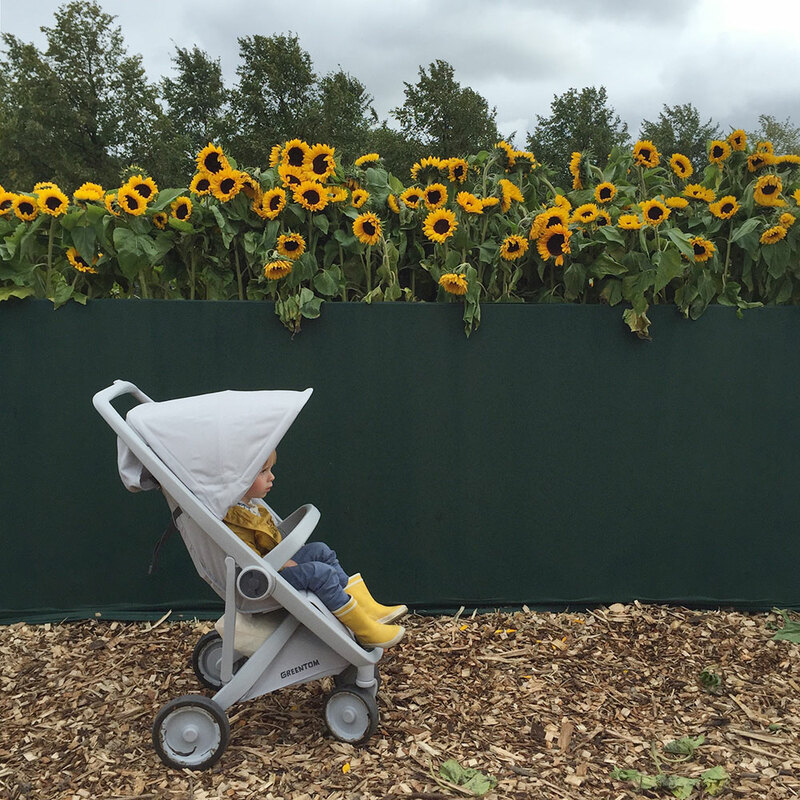 There’s a new stroller in the land — have you heard of the Greentom Upp yet? Designed here in the Netherlands, it is cool, hip and functional, but also very innovative: it is completely, 100% green. Casper and I have spent the last month or so test-riding the Greentom Upp Classic, and I’m impressed. It is a really comfortable-to-ride pushchair: it’s super light and easy to manoeuvre. It is also very strong: I asked Pim (8) to assemble the pushchair when it arrived here in parts, and he did that so quickly — I was upstairs doing laundry, and when I came downstairs 20 minutes later he was sitting in it himself and racing through our living room with it! I love how basic the stroller is, eliminating all the unnecessary little tidbits and bringing it back to the essence of stroller design. I also love that the Greentom is so sustainable — it is entirely made out of recycled parts! The frame is made of 100% recycled polypropene and bioplastic, and the fabrics are entirely made out of recycled drinking bottles (for example, there are 58 PET-bottles used for the fabric of the Upp Classic that we have). Assembly takes place all over the world, limiting the impact of shipping and stimulating local economies. And, as I read on the website: when your children start asking for skate boards, the products can be returned to Greentom who will re-use or recycle all of the parts. How cool is that? There are three varieties for different stages — the carrycot for newborns, the reversible for bigger babies, and the classic for pre-schoolers (which we have). You can purchase all the different parts separately, or as a set, and I think that for a stroller of such quality the prices are very reasonable. Never heard about this stroller before. So cool!